Whether you're buying or selling a home, you need to make sure it's a safe and stable place to live. Habitation Investigation LLC will conduct a complete inspection of your home to provide valuable information about its current condition. We will examine every area of the home, from the foundation to the roofing to the electrical system. Habitation Investigation works with local home buyers, sellers and homeowners. Call us today for home inspections in Mechanicsburg, Dayton and Columbus Ohio areas. We offer both pre-listing and pre-purchase inspections for sellers and buyers, respectively. Call Habitation Investigation as soon as possible to schedule your home inspection service in the Dayton and Columbus, OH areas. Why should you choose Habitation Investigation for your home inspection? Most importantly, we create easy-to-read reports for a clear understanding of your home's condition. You can access your report at any time 24 hours after your inspection. 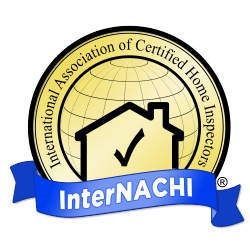 There are so many reasons to choose our home inspection team based in Mechanicsburg, OH. Discover what it's like to have a hardworking inspector on your team. Call us today to schedule your service.